Gender equality and child welfare executive director Wilhencia Uiras yesterday said Namibia ranked seventh in the child- friendliness index compiled by the African Child Policy Forum (ACPF). Speaking at a five-day continental child protection conference which started in Windhoek yesterday, Uiras said the ACPF had developed the child-friendliness index (CFI). The event, which ends on Friday and is being hosted at a local hotel, is being attended by 30 child protection officials from 27 African countries. The index scores and ranks African governments' performance in fulfilling their obligations to children. Namibia scored relatively highly, and is placed after Mauritius, Algeria, Tunisia, South Africa, Cape Verde and Egypt. The CFI is a rights-based framework based on the Convention on the Rights of the Child, and the African Charter on the Rights and Welfare of the Child. Uiras noted that areas of celebration included the tremendous results in immunisation and nutrition of children, which has seen deaths among children under five years decrease from 4 200 in 1990 to less than 3 000 in 2013. Other areas which can be celebrated include Namibia's universal access to primary and secondary education, with expenditure being the third-highest in Africa at 9,3% of GDP, the government spending close to N$1 billion on an annual basis as a response to poverty among vulnerable children, and 87% of Namibian children under five registered for birth certificates - these being among the highest in Africa. 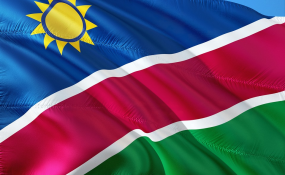 Namibia had also recently introduced an E-birth notification system, which made registering child births easier. However, Uiras noted that there is still room for improvement, despite the above-mentioned positive developments. She further revealed that the ministry will be working with Unicef and other stakeholders for the 2019-2023 national agenda for children (NAC). The NAC is a strategic document which is structured around the child and its social protection, education, health, disability and participation for the next five years, which aims to address present and emerging challenges Namibian children are facing. SOS Children's Villages Association Namibia national director Leonard Diergaardt called for a collaborative effort, saying child safeguarding should not be a task left only for an organisation or a government. He added that a journey of a million miles begins with one step. "We are living in a world where moral turpitude and ethical degradation are common, and it consumes the fibre that keeps societies together. Moreover, the impact on children of this world is catastrophic," he stated. Diergaardt thus urged African representatives at the conference not to allow cultural, economic or traditional barriers to deter what he described as an astronomical task to bring societal behavioural change. SOS global child safeguarding adviser Jan Folda highlighted that the SOS vision - which spawned over 70 years - was to make sure that all children experienced a happy childhood centred around love, respect and security. "The poster right next to me says that 1 in 10 children grow up alone. That's a sad figure," he said. Folda then expressed the hope that discussions held during the week will bring forth solutions to reduce the number of vulnerable children. City of Windhoek councillor Immanuel Paulus welcomed the delegates on behalf of mayor Muesee Kazapua. There will be a child protection panel discussion tomorrow by different stakeholders in the country.